Its barely February but already 2016 is yielding a grim winter harvest of new dates that will go into future Korean history books, to be remembered and regretted. Despite our efforts to support the Kaesong complex, the factory zone is seen as being used for North Koreas development of nuclear weapons and long-range missiles Weve decided to halt the operation of the Kaesong complex to prevent South Korean money from being funnelled into the Norths nuke and missile developments and to protect our companies. South Koreas anger and frustration are understandable. Authorities watch and seethe as Kim Jong-un, like his father before him, tests nukes and missiles in defiance of UN resolutions and with seeming impunity. Until now, about 616 billion Korean won [about $516m] has flowed into North Korea via the Kaesong industrial complex, with 132 billion won alone last year. It is crucial for South Korea to actively get involved while the international community discusses tougher sanctions [on North Korea] for violating UN resolutions and pushing forward with a nuclear test and missile launch. That sounds a lot of money, especially for an economy as small and short of hard currency as the DPRK. But Yonhap, South Koreas semi-official news agency, puts it in perspective by citing unnamed industry watchers who suggest Kaesong earnings comprise just one percent of North Korean trade. The DPRK government keeps 30% of what the South pays towards Kaesong, the other 70% presumably goes to the 55,000 workers as wages. Compared to the $2.48bn Pyongyang earned from exports to China last year, Kaesongs $111m (gross) or just $33m net is small potatoes. But politics is key, on both sides of the DMZ. Seouls Unification ministry says the South has been forced press ahead with sanctions, but whats the rush? It could as well wait till the UN security council drafts a new sanctions resolution which is surely closer as the rocket launch concentrates minds. By acting unilaterally now, Seoul is making a conscious choice. Is it the right choice? One thing is for sure, it is a complete U-turn by South Koreas president, Park Geun-hye. Just three years ago, new in office, Kim tested her by fomenting a crisis in March and April. Remember all that rhetoric, extreme even by North Korean standards? Or the Chaplinesque staged photos of Kim and his generals, poring over maps of missile flight paths targeting the US including Austin, Texas? Wisely too, Seoul insisted on new management rules to prevent any such unilateral sabotage from recurring. In August 2013 North and South signed a five-point agreement on what they called the constructive normalisation of the complex. This bears reading in full. The two Koreas will not make Kaesong suffer again from the stoppage of the complex They will guarantee the normal operation of the complex [which is] not to be affected by inter-Korean situations under any circumstances. So what has changed? The latest nuclear and missile tests cannot logically be seen as a deal-breaker. Park negotiated Kaesongs reopening in 2013 in the shadow of North Koreas third nuclear test that February, preceded by a satellite launch in December 2012. If that wasnt a sticking point then, why now? Parks slogan used to be Trustpolitik. That means working with North Korea as it is, while seeking to change it over time. Like Ostpolitik in Germany, which paid off in the end, this cannot be done overnight. For the past decade, the Kaesong zone has turned a bit of the worlds most heavily armed frontier, impassable for half a century, from a front line into a front door. That in itself was revolutionary, as was Seouls intention. A few small and medium enterprises would make money but the main objective was to demonstrate the benefits of cooperation to Pyongyang. The tragedy is that this was working. 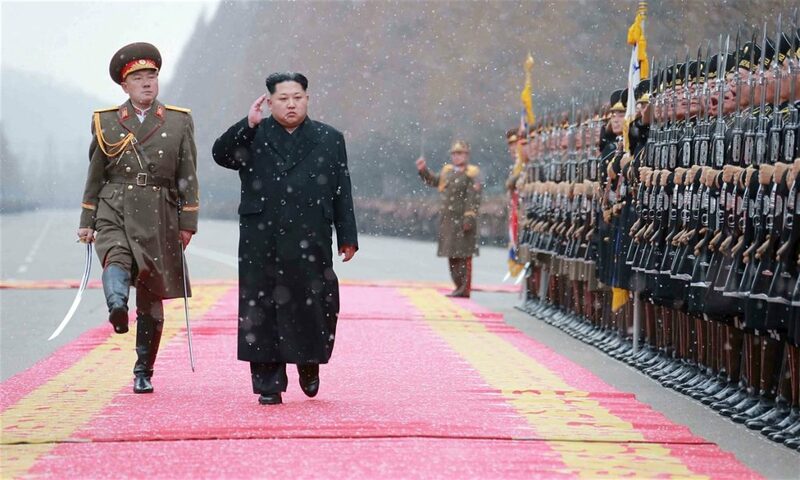 An article by regional expert Christopher Green claims that Kim Jong-ils last instructions to his son included one to move decisively to close [Kaesong] as soon as you see a chance. Kim senior apparently feared the zone was a Trojan horse, daily exposing 55,000 of his subjects to the palpable superiority of the enemys system. Exactly. So why is the South shutting it down?